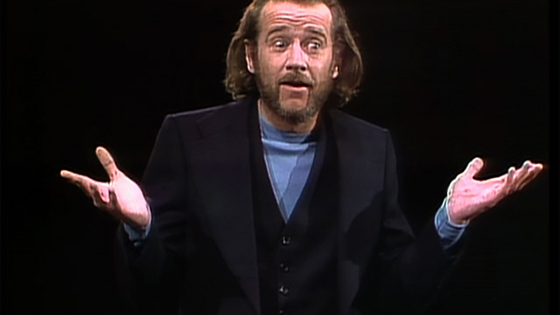 On this day in 1975, the first episode of Saturday Night Live aired, with host George Carlin. Among other things, this is Ada Lovelace Day, an international celebration day of the achievements of women in science, technology, engineering and maths (STEM). It aims to increase the profile of women in STEM and, in doing so, create new role models who will encourage more girls into STEM careers and support women already working in STEM. Despite the hurricane, Florida Man perseveres. See him park his BMW in his living room to protect it from the storm. Some people born on October 11 who said some interesting things: Theodore Dalrymple, Anne Enright, Louise Rennison, Thich Nhat Hanh, Elmore Leonard, Joseph Alsop, Charles Revson, Francois Mauriac, Harlan F. Stone, and Eleanor Roosevelt. Now it should be noted NBC suspended Billy Bush from "The Today Show" for his words on this tape, which means there is currently a higher standard for host of the third hour of "The Today Show" than there is for Republican nominee for President. I’m a Doctor. If I Drop Food on the Kitchen Floor, I Still Eat It. "Our metric shouldn’t be whether there are more than zero bacteria on the floor. It should be how many bacteria are on the floor compared with other household surfaces. And in that respect, there are so many places in your house that pose more of a concern than the floor." Somehow, that's not particularly reassuring. And besides, if you have dogs, dropped food disappears before it can hit the floor. Want to live in the White House? Turns out two are on the market.